See that your residential property in Atlanta, GA is managed right. Call us today to schedule an appointment and learn more about our services. 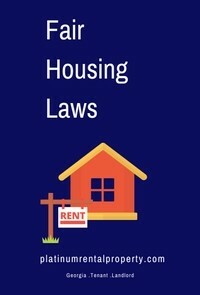 This guide is an overview of the fair housing laws and includes links to National Laws and GA State Laws. The Fair Housing Laws apply on a National level, as well as a local level. Did you know that many state fair housing laws cover properties or situations that are exempt under federal law? Unfortunately many landlords managing their own rental properties are not familiar with the regulations and become disillusioned with owning an investment property because “the tenant is being difficult”. Rest assured tenants know their rights; the problem is many landlords don’t and the rental process can become too hard. The Federal Fair Housing Acts will apply to all aspects of the landlord-tenant relationship. Make sure you understand the process, discrimination is illegal. 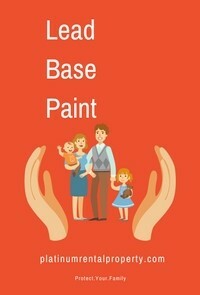 Read this entire Lead Base Paint Guide to learn: • How lead gets into the body • About health effects of lead • What you can do to protect your family • Where to go for more information. Did you know that many homes built before 1978 have lead based paint? The Environmental Protection Agency (EPA) implemented laws and guidelines for rental properties. Lead from paint, chips and dust pose serious health hazards. A landlord who fails to comply with EPA regulations faces penalties of up to $16,000 for each violation. And a landlord who is found liable for tenant injuries from lead may have to pay three times what the tenant suffered in damages. 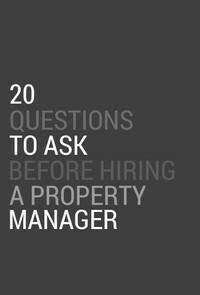 This Checklist is a must for anyone considering hiring a property management company. Dig deeper, past the surface questions of, “How much do you charge?” Compare apples to apples. Find out why a personal interview is so important. Atlanta GA’s real estate rental market is in high demand and everyone wants a piece of the market. Real Estate is the core business but all of the work lies in developing the relationship. Your investment is not passive and neither are meaningful relationships. Use this checklist as a reference guide to dig deeper past the surface questions. Talking on the phone doesn't always form a connection, not on the human level. Schedule a personal interview and meet the team that will be supporting your efforts. Eye contact, body language and office dynamics are often the common denominators in exhibiting honesty, manners, likability and their interest & intent. If a personal meeting is not possible, take advantage of technology and interview via Skype, Google Hangouts or Facetime. This handbook answers the most common landlord-tenant questions: Renting with roommates, evictions, maintenance and much more. 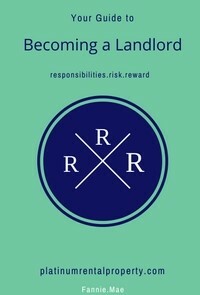 The three R’s of Becoming a Landlord. The most common asked questions and answers by landlords and tenants. The information was provided by the Georgia Department of Community Affairs, 2011, tenth edition. An informative and easy read covering topics such as Lease Termination & Renewals, Utility Issues, Security Deposits, Rent Payments and other charges, Repairs and Maintenance.